As we arrived to the station, I multi tasked paying the man along with grabbing my luggage when he asked for extra Rupees for driving a slight bit faster. To which I hastily shut him down with my “look mate don’t be silly and ask for more money, we agreed on the price yesterday (when we booked the ride) and I am running late” The poor guy was flabbergasted, stunned, shocked to the same extent as if finding out his beloved God Shiva doesn’t exist! His frown burned my back as he superciliously watched me sprint off into the crowd of Indians looming by the station. Alongside me was my travel buddy (at the time) Ash, who through laughter fits struggled to keep up rushing towards our train all at the expense of our unfortunate tuk-tuk driver. Making our train before it departed, I felt a sensation of neglect and regret, maybe I should have flicked my driver a few extra rupees. 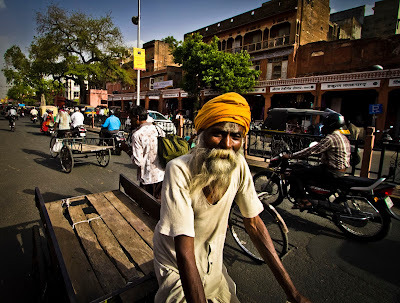 Although like every Indian struggling, he probably ripped me off in the first place with the cab fare. Being budget travellers when we arrived to Jaipur, we insisted our tuk-tuk driver to take us to the cheapest hostel in town. 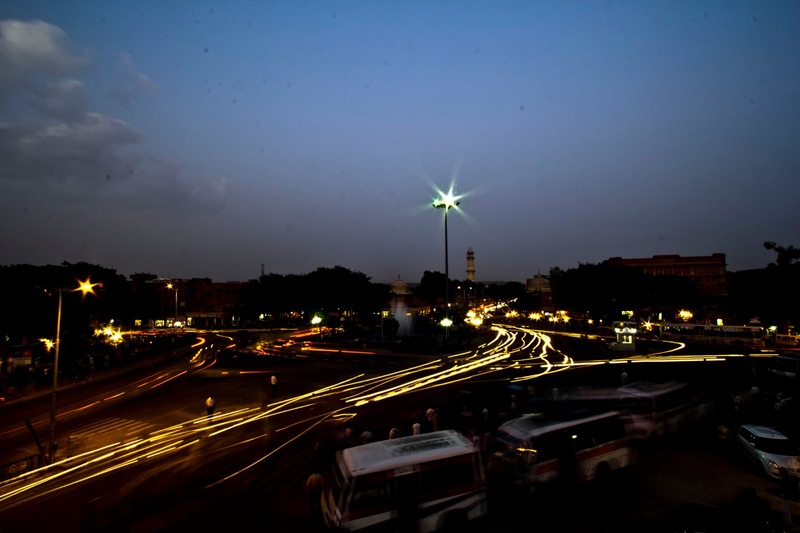 Despite his persistent efforts to twist our arm into settling to stay at an array of hotels. Places he rattled off all over the town where he could gain a minuscule slice of commission. The pitiable guy was just trying to make a few rupees on the side until he came across our tight asses budgeting for world trips. One day I will be rich and endeavor to satisfy everyone. Becoming run down and quite ill, the next day we set out early to see the sights. 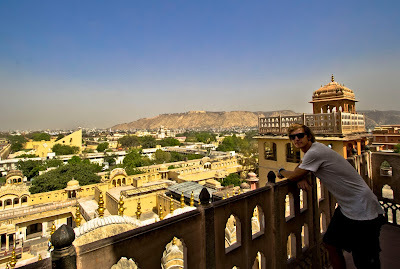 With limited time before our bus departed to our next destination of Pushkar we headed straight to Hawa Mahal. 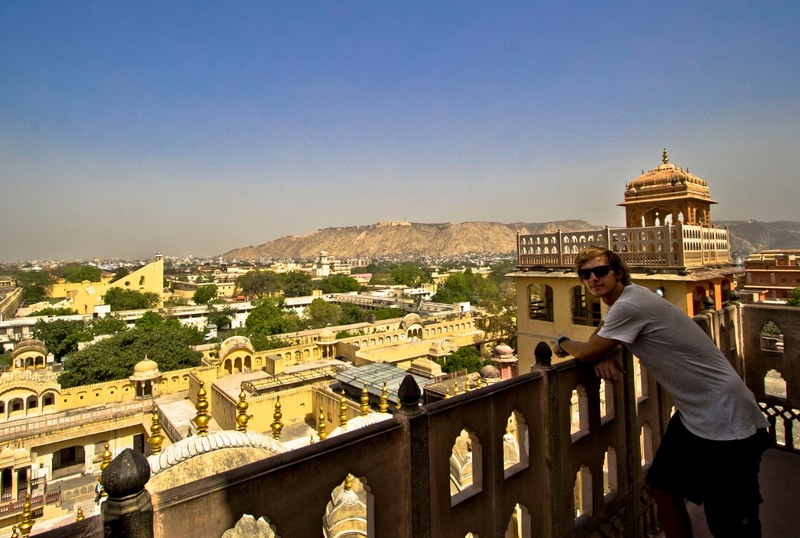 Being Jaipur’s most famous tourist attraction it was built in 1799 with 953 windows for the women to look down on the busy street to watch everyday life without being seen. It’s a five story pink stone establishment you can still climb up today homing spectacular views, which atop we discovered something in the distance among the rooftops. Without hesitation an Indian guard noticed us admiring off into the distance, he soon realised and told us what it was and that we could go visit this place called Janta Manta. With no time to spare we hurried over to Janta Manta (only about 500m walk from the Hawa Mahal) to be confronted with the world’s tallest sun dial. We were surprised and ecstatic to see this especially because we never realised this even existed or was in India, or in this town for that matter. 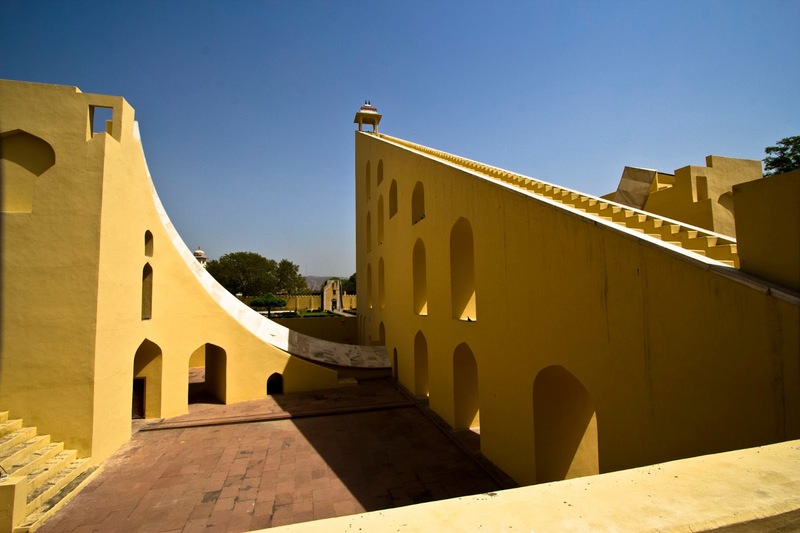 Janta Mantar was my favourite place in Jaipur to see, just cruising around to see not just the sun dial but many intriguing architectural astronomical instruments built way back between 1727 and 1734. 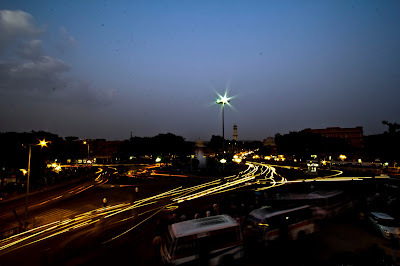 Jaipur completely blew me off guard with how hectically busy the city centre is (within the city walls), with people buying and selling, busses regularly flying past among the odd car and motorbike/scooter. 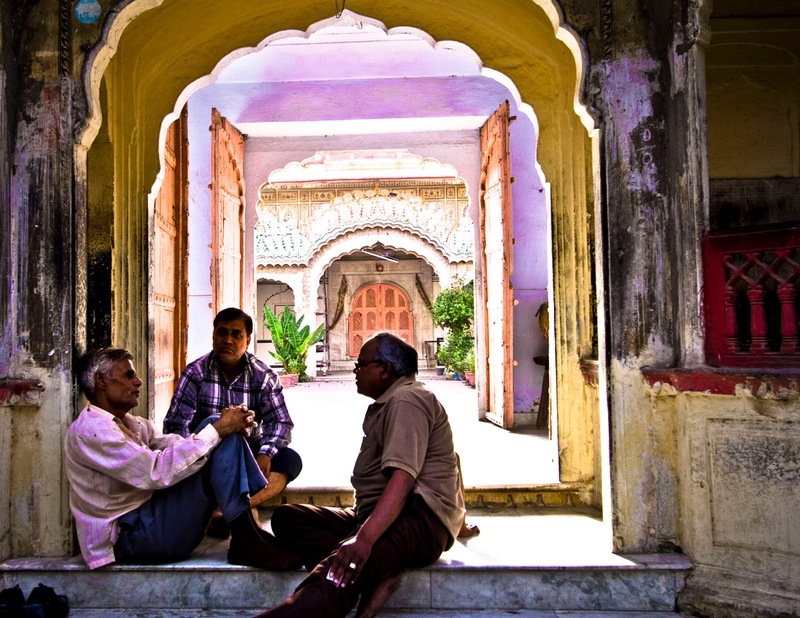 I tended to like Jaipur, not only for its remarkable sights, but because I could put the busyness and the hurriedness behind me for a few minutes. Step out of the hustle and bustle and just be in awe as I watched life fly by so quickly allowing me to appreciate where I was and what I was doing at the time. Has anywhere in the world taken you by surprise, Where was it and why?